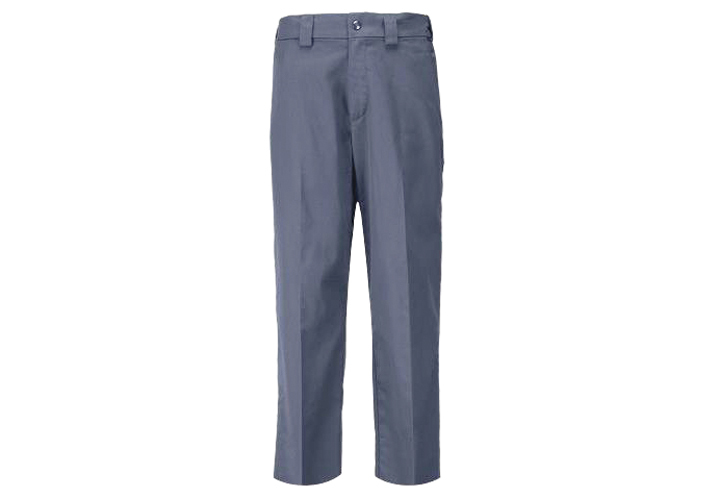 Constructed from Taclite ripstop fabric for superior performance in warm weather, the PDU Class A Taclite Pant features a Teflon coating to repel stains, liquid, and soil while remaining thoroughly breathable. A professional flat front design with permanent military creases and an internal gripper panel keep your shirt securely in place. Other features include the classic 5.11 self-adjusting tunnel waistband, a diamond gusseted crotch, genuine YKK zippers and Prym snaps, and a covert thigh pocket. Available in A class and B class bottoms.